Believe it or not, there was once a time when I checked my horoscope every weekend. I would be at my grandparent’s house and at some point during the day I would be sat at the kitchen table reading what’s in store for Leo in one of their newspapers. I have no clue how I got myself into that habit but little Ali was full of weird and wonderful surprises. Anyway, this faded out over time and I realised that I never really understood how it all worked. Are people with the same star sign really alike? How does the moon phases affect us? Is astrology reliable and can it actually predict our fate? I wouldn’t go as far to say that I was sceptical but I was very much aware of the stigma attached to believing in astrology. There’s more to it than the horoscopes in the back of newspapers yet with so much conflicting information around, it’s difficult to know where to begin. 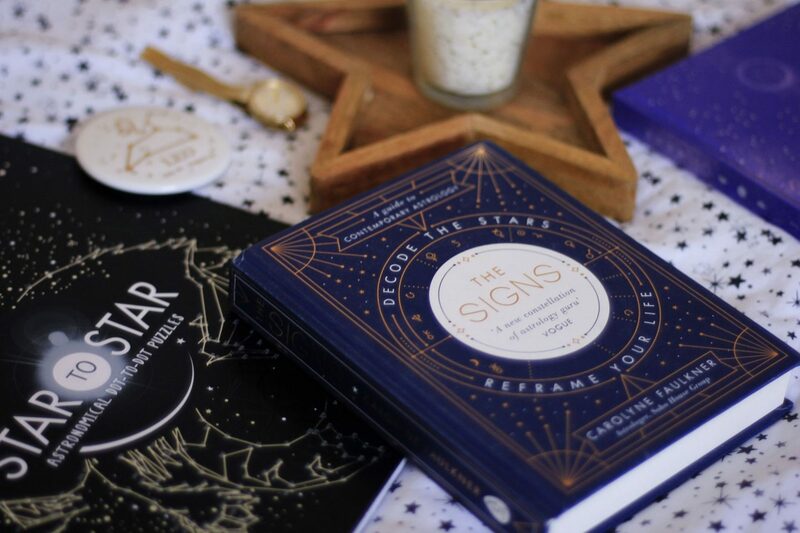 So when Penguin Random House kindly sent me The Signs by Carolyn Faulkner a few months back, it seemed like the perfect way to get back into astrology again and as some may say: learn the language of the stars! 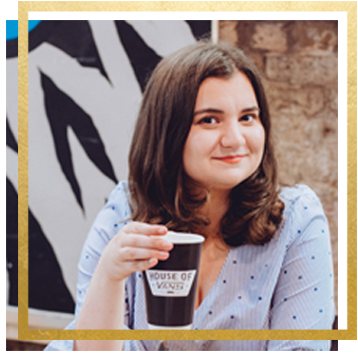 If you’ve not come across the little gem before, Carolyne created this guide for those interested in learning astrology but who are maybe put off by some of the technical terms. It’s also made clear to the reader from the beginning that astrology is not fortune-telling nor should we define someone’s personality solely by their star sign. Let’s take me for example, I’m a Leo yet I’m not a socially confident person in the slightest! It’s great that Carolyne addressed some common misconceptions to put many people’s concerned minds at ease. I would hope so anyway. The book is split into three main parts: the planets, signs and houses. Working through these using your date, time and city of birth will help you create a picture of the sky when you were born i.e. your birth chart. I’ve always been fascinated with space and the thought of knowing where the moon and planets aligned feels quite cool to me! It’s great because you can delve into as much as you want or only get little snippets of information. It felt a bit overwhelming at first looking at my birth chart. There’s a lot going on so I decided to start with what I already I wanted to find out which was my moon and rising sign. While a star sign focuses more on someone’s inner self and their possible positive traits, a rising sign describes how others see their personality and a moon sign shares how they might emotionally deal with life situations. Reading this book helped me see that your signs are concrete facts about ourselves. There’ll be some traits that we may relate to strongly and others we don’t, hence my earlier comment on not feeling like a proper Leo. Another aspect I quite liked was discovering how certain positions of planets have an effect on us. I would hear people say things like “Mercury is in retrograde” and have no idea what they meant. Although it doesn’t specifically answer that question, you are able to find out if your chart is telling you something to work on during a specific time period. This part is definitely for those wanting to understand their whole birth chart – it’s like learning another language! Since first using this guide back at the end of last year, I can honestly say it’s helped me learn more about myself, especially on how I make decisions. I know that I can refer back to it if I want to pinpoint something specific and it not give me cryptic puzzles to solve. My next step now is to create and learn about someone else’s birth chart! 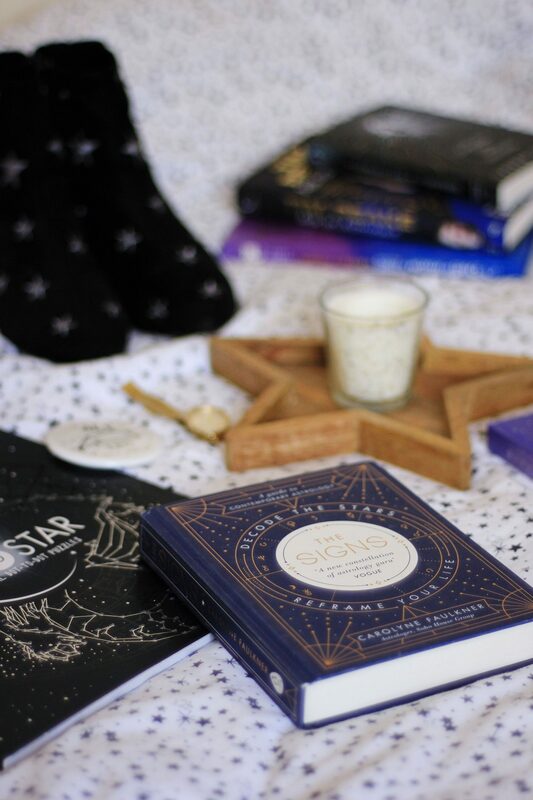 So whether you’re new to astrology or not and you’re looking to learn how you can use it as more of a self-help tool, I would 100% recommend this being the first book you read! It’s a fun, practical guide to discover not only what the sky looked like when you were born but also to help us create a stronger connection with ourselves if we choose to. Yay glad to hear it’s worth the buy, adding it to my basket right away! Sounds like an interesting and insightfully helpful read, which I enjoyed reading your take on it. I’ve always been into astrology so you’ve definitely made me think about getting this and learning more about it! Thanks for sharing this post, i love it!